While it probably won’t sing you a sonnet to the tune of Edwin McCain’s classic “I’ll Be,” the KDK Moshon represents the latest in a line of smart home furnishings which the PropSocial sifu is happy to say are more intelligent than him, even on a good day. He’s happy to say so because homeowners can rest assured that every circuit in these exquisitely engineered gadgets is dedicated to making their lives easier. When the average Fitbit has six times more computing power than the shuttle which first brought man to the Moon, this can only be a good thing. Though it’s probably only a matter of time till singing fans hit the market. Remote controls are a pain. You have to reach for them, figure out where to point them, then figure out which of its dozen buttons you need to press just to turn up the fan. If that wasn’t enough, they’ll also go missing at the most inconvenient times. The KDK Moshon doesn’t bother with all that. Its Sensor Mode uses passive infrared rays to adjust its speed to your needs. If you’re working out in your living room it’ll speed up. If you’re watching TV, it’ll slow down a notch, speeding up a little (or a lot!) if your girlfriend or husband joins you on the couch. No more playing hunt-the-remote during house parties! 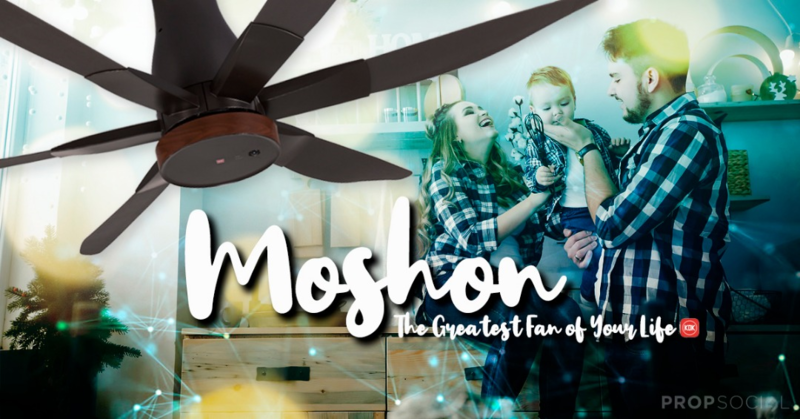 If you leave the room, it switches itself off after a while, and like a faithful butler, the KDK Moshon will remember your preferences when you return - truly the greatest fan of your life. But these days it’s not enough to be smart, you need to be budget-conscious too. The KDK Moshon scores big here as well, with larger 70-inch blades which deliver 30% higher air flows over earlier models. In addition, the twin DC motor at its heart uses up to 40% less energy than conventional AC motors, while supplying up to a 77% increase in motor power – which means you’re getting more bang for your buck. 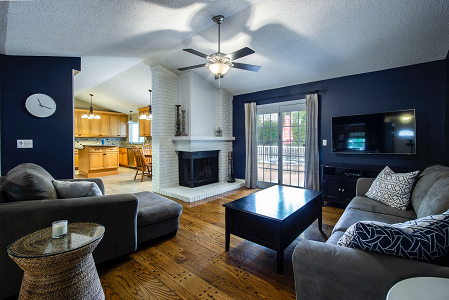 Offers two installation options, in classic designs with wooden accents. Even with the government increasing subsidies for electricity bills from RM20 and below to RM40 for those eligible under its Electric Bill Rebate Programme this year, given the state of the economy, it’s best to be thrifty when it comes to those monthly expenses! 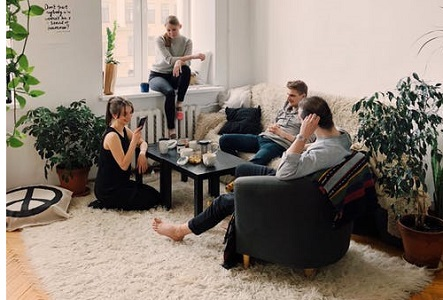 There are already a million things parents and working professionals need to worry about, from housing instalments, car problems, career pressures and credit payments to keeping up with the Joneses, global warming and even rapidly expanding waistlines! 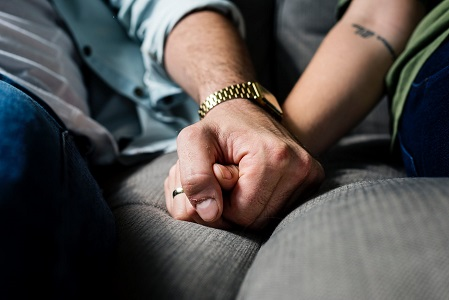 Why should the safety of you and your loved ones at home be a question? 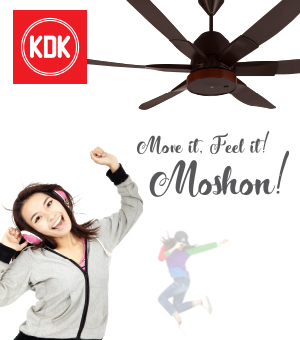 The KDK Moshon includes numerous safety features, including ball joint hanger plate installation, which provides greater support for heavier fan models than conventional ceiling hook designs. Because nothing’s more important than family. In addition, an integrated safety plate and external wire prevent blade extensions from detaching into the room below, while an internal wire prevents the same for the entire fan assembly. Basically, the house will fall down before the KDK Moshon does! Finally, as we move into the Lunar New Year, the PropSocial sifu notes that those worried about cutting chi from fans in the house can position installations so that they are not directly above beds, couches and other resting spots. Voila, you’ve just managed your energy and air flows in one easy step! The KDK Moshon (K18NY) is the successor to the KDK Sensa series, and includes canopy type (K18NY-RBR) and pipe rod (K18NY-SBR) variants. Those interested can visit manufacturer KDK Fans (M) Sdn Bhd’s website, or visit a nearby retailer to learn more. Who or what is the greatest fan of your life? Share your thoughts below!